I just started meal planning around a year ago. Before that we were spending thousands of dollars a MONTH on food. Between going out to eat and for drinks, and spending too much money on groceries and everything else, it all added up very quickly. We were not responsible at all when it came to our food spending, and we always has some sort of excuse for why we kept allowing our outrageous food expenses. We would blame it on our busy schedules, the fact that we were horrible cooks (I now like to think that we are pretty good cooks. Well at least I am), and so on. There were so many excuses that we made! Thanks to meal planning, our food spending is now much lower than what it used to be, and now we spend less than $700 on groceries, going out to eat, and so on for both of us. I do realize that we still have plenty of room to improve our food budget, and we think it would be wonderful if we could get this to around $350 or $400 per month. It IS doable! Do you ever come home after a long day of work and say that you don’t know what to make? Well if you had a weekly or monthly meal plan, then you wouldn’t have this problem! With having meals already planned, you will be less likely to go out to eat since most of the planning is already completed! Eating out at restaurants less will of course save you a lot of money. If you think about it, if you have a family of 4, your average restaurant expenses most likely average around $50, especially once you include tip and taxes. Sometimes it might even be more expensive than that! 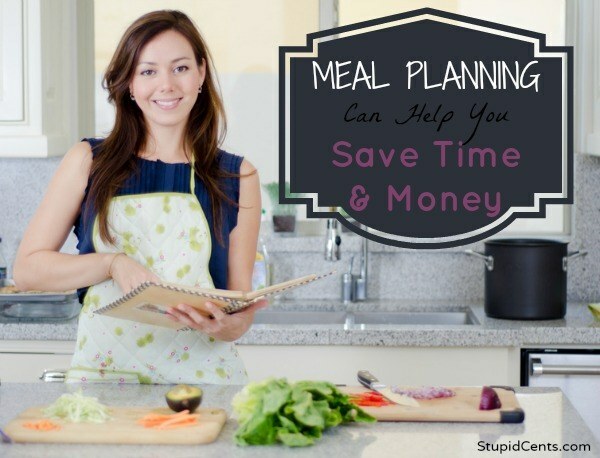 With meal planning, you are buying items specifically for a meal. There will be less “what-ifs” because you will know exactly what you need when you go to the grocery store. You will know exactly what you need to make for hamburgers, spaghetti, lasagna, soup and/or whatever else is on your list. When you know exactly what you have in your fridge and what you need for a meal, it will help reduce food waste. You won’t be wandering around the grocery store thinking that you “might” use this ingredient, instead you will know exactly what you will need! You can buy the correct quantity of items and hopefully not have too much leftover which will be thrown away. I have seen much less food waste ever since we started meal planning. Before we would just buy ingredients for meals, but wouldn’t have anything really thought out completely. This then led to a lot of partially completely meals because we never had everything, and sometimes we had way too much! Our food waste was probably at least $25 a week, and now we hardly throw away any expired or leftover food items. Do you meal plan? What positives have you noticed?